Colbie Caillat brings her act to Connecticut tonight. BUBBLY: She's one of the hottest singer/songwriters around (and she's pretty popular too). 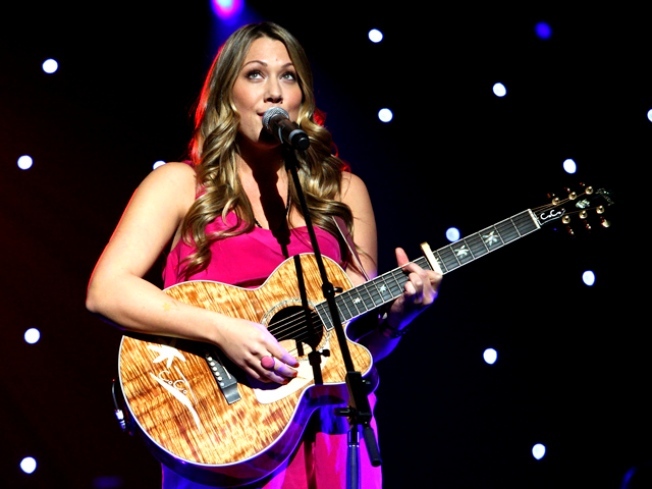 Grammy-Award winner Colbie Caillat is making a stop in CT tonight. Head to the Ridgefield Playhouse to see what the face of pop music looks like in 2010. Joining Caillat will be Jason Reeves, with whom she recorded her breakthrough, uber-popular album, Coco. Tickets for tonight's show are $67 and $72. 8pm. SWEEP THE LEG: There are some, a vocal minority, who would define '80s metal as the pinnacle of music achievement. Tonight, the members of Kobra Kai (got to be one of the top ten best band names of all time) is bringing that case to the Wolf Den at Mohegan Sun. The band has a simple mission, 80s Metal covers done the way a Metal show truly was back then - a party! Admission is free, but you must be over 21 (though we're guessing those under 21 won't be lining up for this one). 8pm. RAISING THE CURTAIN: Most new restaurants rely on word of mouth advertising to get past those early growing pains. Tonight, you can be the first to spread the word about a new joint right along the Mystic River. Latitude 41° is opening tonight at the Mystic Seaport. The restaurant promises to capture the essence of the maritime experience with a menu that uses the highest quality, local ingredients. You can dine in one of the main dining rooms, gather with friends in the tavern or enjoy the Seaport views while dining al fresco.